Buying property in Canada is easy when you know how – but there are many steps along the way that you will need to become familiar with before you can successfully purchase your next home here….we have produced a free guide for you, which walks you through all the steps. So here’s how to find, negotiate, and purchase that condo or house in Canada that you’ve been dreaming about. Nothing can be more exciting than the search for, and the acquisition of your first home. And nothing can be scarier than preparing for this milestone. Much of the stress in buying your first home can be relieved if you have all the information necessary to make wise decisions. The other thing about the Canadian real estate market is that the rules and regulations are always changing. In the past few years we have seen the evolution of the Condominium Status Certificate, changes to the land transfer taxes, changes to mortgages, both in the terms and amortization periods, as well as the qualifications required for self-employed people, changes to buyer agency, the advent of title insurance, privacy legislation and how it affects buyers and sellers, and much more. It’s a challenge for professionals in the real estate field to keep up with all these changes, let alone members of the general public. So even if you have bought or sold a house or condo before, there are probably changes to be aware of which were not in place the last time you were involved with a real estate transaction. This guide will bring you up to date on rules and regulations that apply to Canada, and to the province of Ontario specifically. With that in mind, we are pleased to provide this free, exclusive buyer’s guide for Canadian real estate, which also contains a wealth of important information that you can use when purchasing property in the province of Ontario. My local real estate business is geared towards Mississauga, Oakville, and Toronto, but you can use the concepts and principles in the guide for anywhere in Ontario. Whether you have bought a home before or not, this guide will take you through all the steps, and will give you expert insight into such procedures as getting approved at the bank, how to house hunt efficiently, how to make an offer, and what to expect on closing day. This guide will show you how to successfully find, purchase, and close on your first home. how much bank loan should you take on? does the property have high tech features? is your home still covered under Tarion new home warranty? You also get, as an added bonus, lists of important Mississauga, Oakville, and Toronto phone numbers that may come in handy when you are moving, as well as a list of useful Mississauga, Oakville, and Toronto website addresses. These telephone numbers and websites are for things like the utility companies, the cable and internet companies, school boards, school bus numbers to call, etc. Your FREE report is a 37 page PDF document, size is 2.3MB – it will download easily to your valid email address. 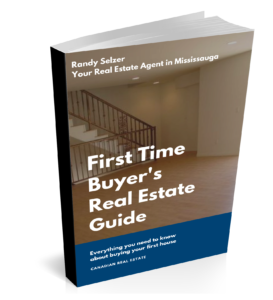 We know you will enjoy and learn a lot from our free Buyer’s Guide, whether you are looking for one of the many beautiful Mississauga condos or homes, or for any property in the GTA. There is no cost or obligation when ordering this FREE report. YES!! Give me my FREE copy of the exclusive Home Buyer’s Guide! I am ready, willing, and able to take charge NOW, and I am ready to learn just how I can buy a home, whether it’s in Mississauga, Oakville, Toronto, or anywhere else in the GTA!